We take a £50 deposit to secure your date . This is none refundable in the event of a cancellation. The full balance would be due 4 weeks prior to your stay. All booking confirmation is sent via email or post if requested. 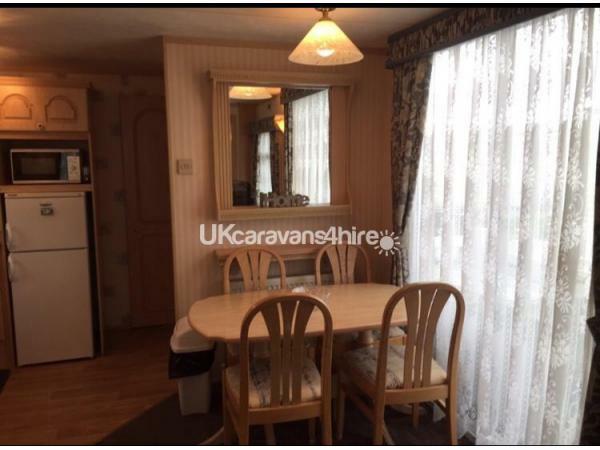 It sleeps up to 8 people with 3 bedrooms plus a small double pull out bed in the lounge. 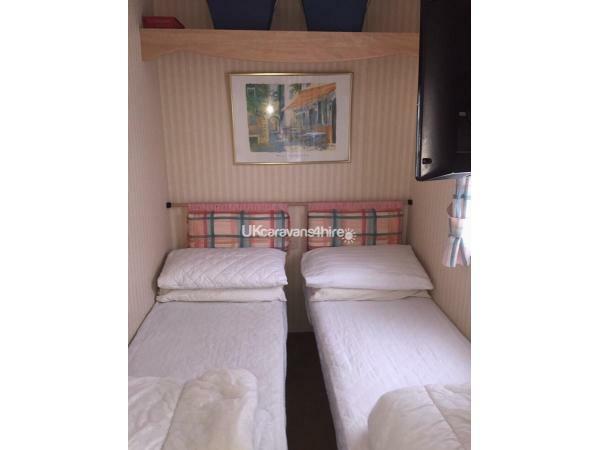 1 x king size bedroom, 1 x double bedroom 1 x twin bedroom. 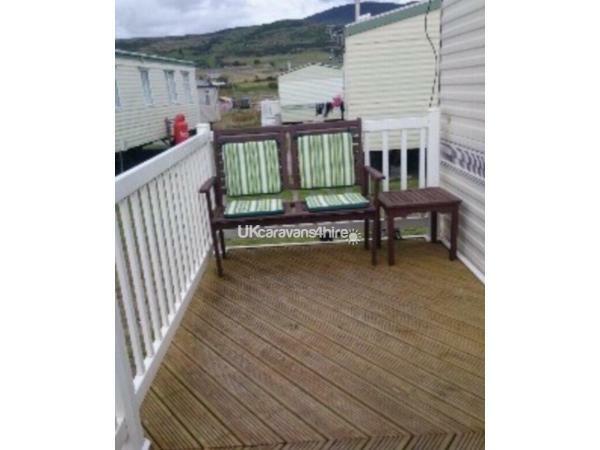 ideal for families sharing or for older children needing more space. 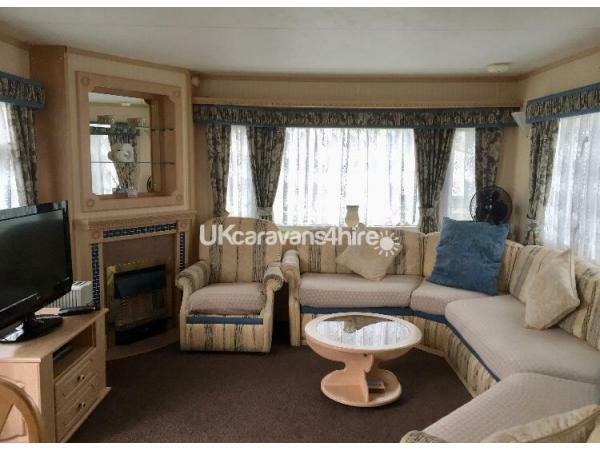 A very comfortable caravan with ample seating in the lounge and a flat screen TV. 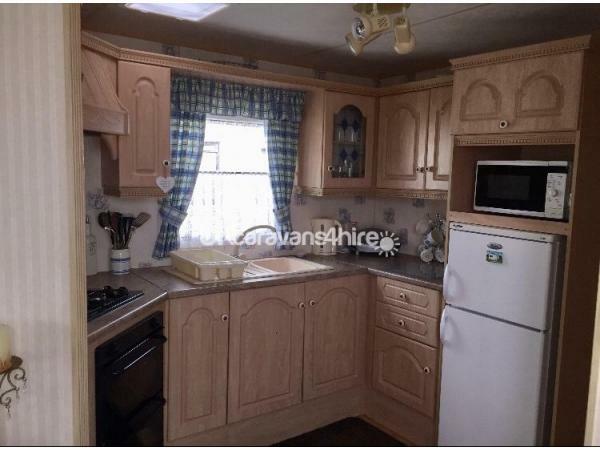 The kitchen is well equipped with extras like a George Forman, BBQ utensils and lots more. 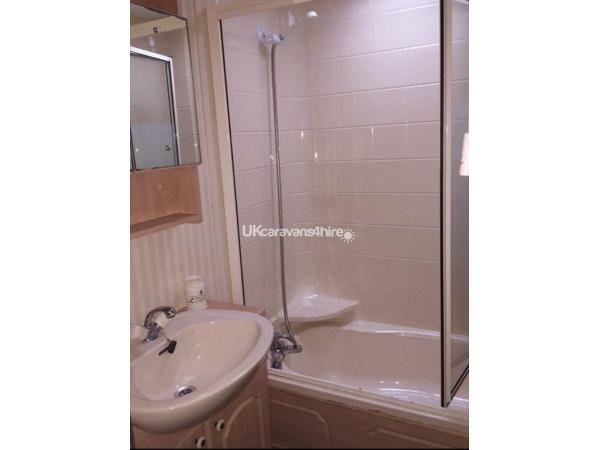 The bathroom has a shower with a deep tray and plug , ideal if you have small children. The balcony is gated and has a stunning mountain view. Table and chairs for warm evening dining and a bench to relax with a glass of wine watching the sun go down. A storage box is for your use and has beach chairs , wind shields, cool box ,BBQ, beach toys and games etc. 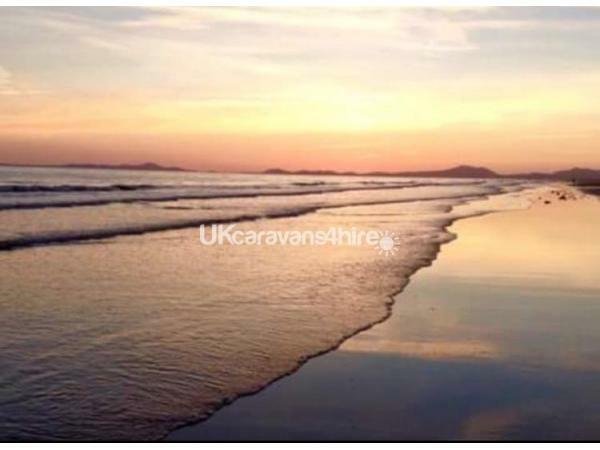 The caravan has everything you should need for a relaxing stay, a real home from home caravan. All you would need to bring with you is your bedding and towels. funfair, donkey rides and trampolines and lots of little shops to browse in. Harlech Castle, Porthmadog, Fairbourne, Shell Island, The Slate mines, Children's animal farm with stunning views and lots lots more. 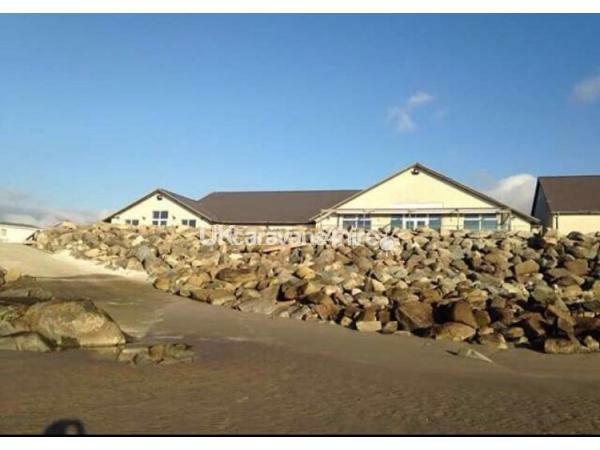 Special offer for mon - fri bookings outside of school holidays. We take bookings with a £50 deposit . Full balance is due 4 weeks prior to your stay. please note this deposit is none refundable in the event of a cancellation. On arriving at Sunnysands you will be required to purchase a site pass when collecting your keys . This pass will enable you to use the facilities and gain you entry through the barrier. This is priced at £30/£40 depending on the season. You will be refunded £10 on returning of the pass and keys to the office. 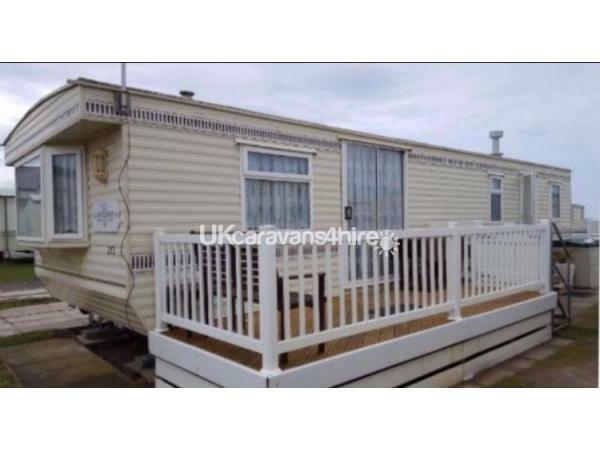 We love staying here for our holidays it really is home from home the caravan is comfy and spacious. 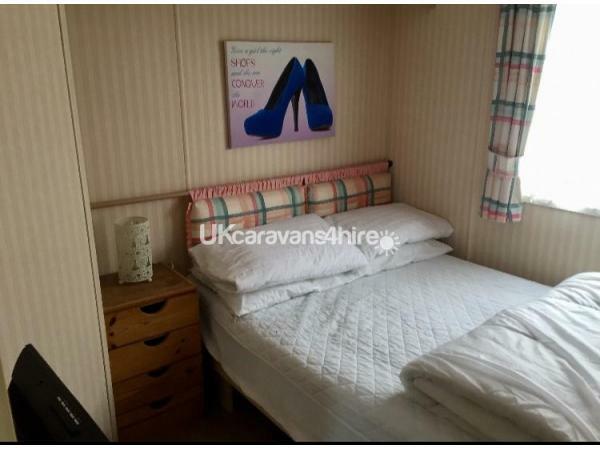 There is 2 double bedrooms which adds so much more comfort. The owner has a box full of all equipment for the beach which they let you use which is fab, crab fishing at the harbour is a def must!. 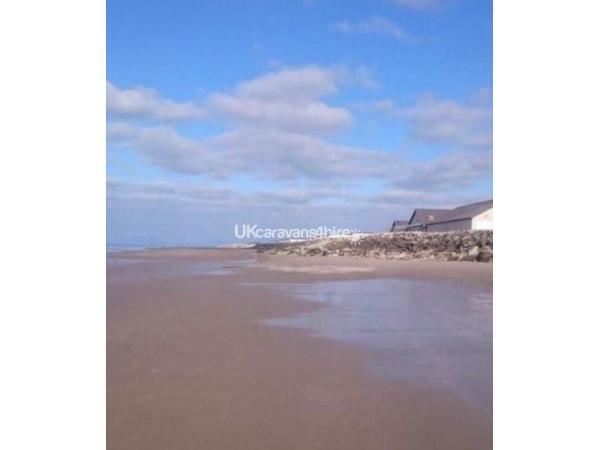 Less than a minutes walk from the caravan and you are on the beach Perfect!!. 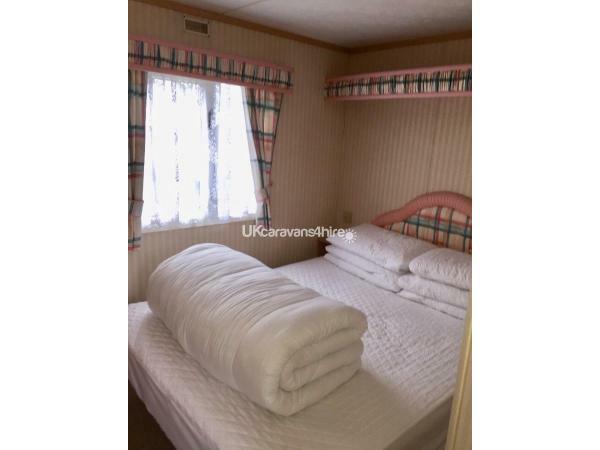 stayed here from sunday to friday had a lovely break, caravan was lovely and clean every thing you need was supplied, even welcome pack with crisps biscuits tea coffe squash, lisa was very helpfull with all transactions and always kept me up to date, paid by bank transfer no problem at all, would highly recommend. thanks again Lisa hope to see you again soon.